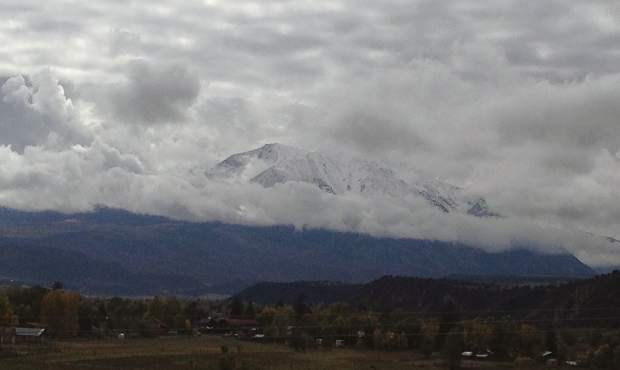 A snow-cloaked Mount Sopris emerges from the clouds Tuesday. The midvalley received 1.5 inches of precipition as of 2:30 p.m. Monday over the prior 72 hours, according to the National Weather Service. Higher elevations received snow. Local and federal authorities declared the Lake Christine Fire completely contained Tuesday after Basalt Mountain was socked with rain, snow and low temperatures over the previous three days. “While there still is a chance that some minimal heat remains within the perimeter of the fire, the likelihood of those areas producing smoke or threatening containment lines is low,” the Eagle County Sheriff’s Office posted on the Facebook page for the Lake Christine Fire. The fire had last been assessed at 94 percent containment Sept. 18. The National Weather Service’s Grand Junction office reported at 2:30 p.m. Monday that Basalt received 1.5 inches of precipitation in the previous 72 hours. 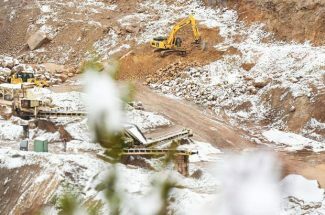 It was among many places in western Colorado and eastern Utah that received roughly the same amount of precipitation in three days as it had in May through September combined, according to the weather service. Snow covered the upper slopes of Basalt Mountain. Basalt-Snowmass Village Fire Chief Scott Thompson said residents were regularly calling the Fire Department in recent weeks to report smoke from within the burn scar until the rain started Oct. 1. There were so many calls the weekend of Sept. 29 to 30 that the department requested a flyover by a helicopter from the Upper Colorado River Basin Interagency Fire Management unit in Rifle. The chopper crew reported the smoke was coming from smoldering spots within heavy vegetation on rugged areas of Basalt Mountain, he said. 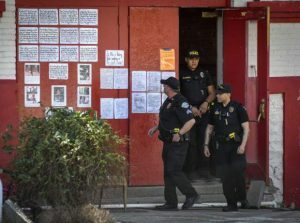 There is no active firefighting on the blaze any longer. Local crews are monitoring the mountain periodically. A large part of Basalt Mountain remains closed to public access while the U.S. Forest Service undertakes emergency road maintenance within the fire area. The public has been asked to stay out of the area for safety reasons. Dead trees called snags line portions of the roads and trails. 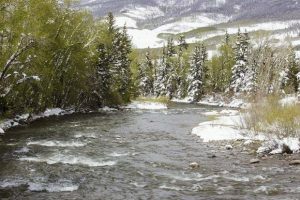 The cooler, wetter weather also led to a lifting of stage 1 fire restrictions in the White River National Forest and on Bureau of Land Management holdings in the Roaring Fork Valley and Colorado River Valley. Moisture levels in trees and vegetation has soared over the past week, and precipitation remains in the forecast. Pitkin, Eagle and Garfield counties also rescinded fire restrictions, effective immediately. Hunters will now be able to have campfires at dispersed sites outside of campgrounds. 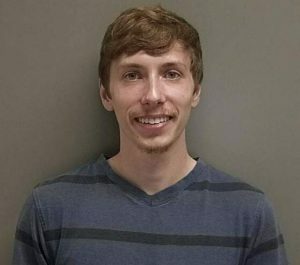 “We do ask that folks remain diligent, practice fire safety and use fire prevention tips when recreating in the outdoors and keep in mind that the use of exploding targets, tracer rounds, steel core ammunition or fireworks remains prohibited on all public lands at all times,” Eagle County said in a statement.